For my second piece, yellow glasses, yellow prisms, yellow background, full spectrum people, I wanted to make a point about racist jokes. As an Asian American, I have dealt with racism through a modern form: racist jokes. Being called chopsticks, rice, and yellow were my least favorite. But especially being called yellow. I felt judged and ugly called that color. It impacted my self esteem and the way I held myself to the beauty standard growing up. 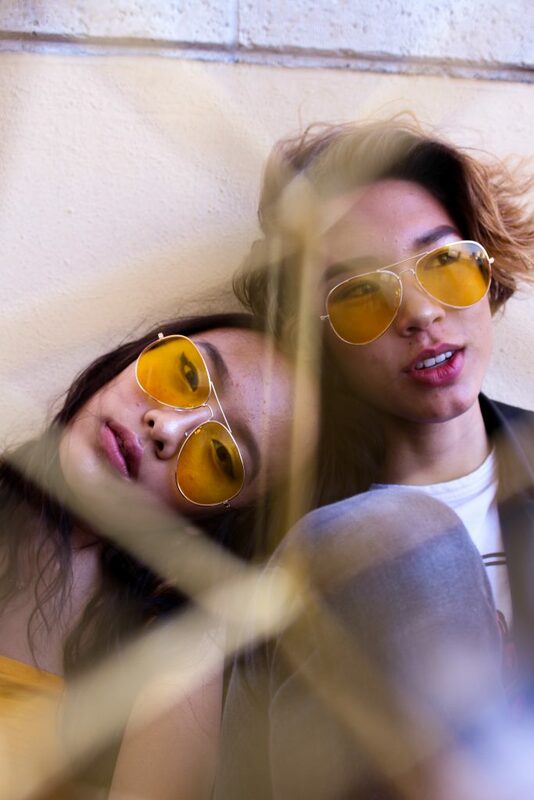 In the picture, both of my friends are Asian, and I purposely styled them with yellow glasses, yellow background, and yellow prisms because I wanted to portray the idea that although they were surrounded by their stereotypes and the judgments held by others by being an Asian American in America, they could still be full spectrum people, people who weren’t confined by their racial stereotypes. I feel very strongly about this photo because of my backstory. Seo Yoon Yang’s dream is to attend a film college and become a film director in L.A. She started a youtube channel under the name Yoonie Yang and is hoping to start her film career with that social media program. she loves photography, journalism, and animals.